We believe that the best book recommendations come from people you trust. 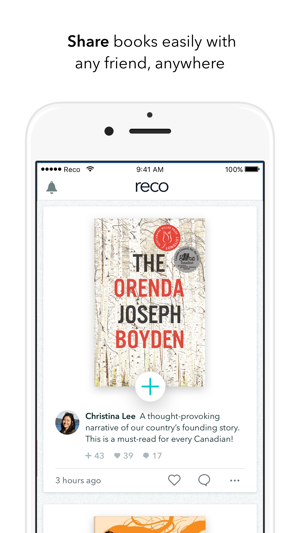 SHARE: Quickly share your favourite books (physical books, ebooks, audiobooks) with any friend, anywhere. Simpler and more inspiring than an email or a text. 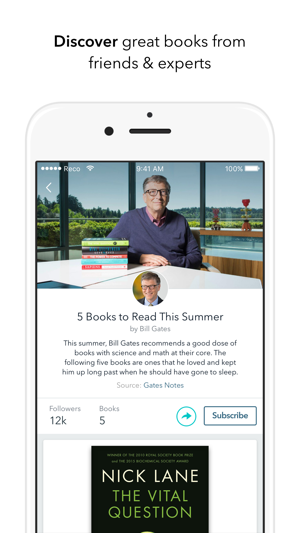 DISCOVER: Find great books personalized to your interests, curated for you by friends and trusted experts. Follow book lists from popular influencers. 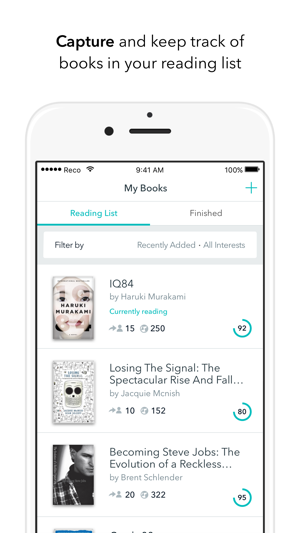 CAPTURE: Keep track of the books you want to read in a simple reading list. Gone are the days of spreadsheets, notepads, and self-emails. Buy books in any format. DISCUSS: Have thoughtful discussions about the stories you love with the people you trust. • Collaborative Lists. Invite your friends and followers to book club. Track and comment on books you’ve read or start a group reading list of everyone’s favourite reads. Head over to your Profile and click on Book Club to check it out! • Group Discussion. Want to discuss more than just a single reco? Book Club includes a discussion board for you to plan your groups’ next get together, virtually meet to discuss this month’s pick, or dive deeper into your favourite interests to see what your group has to share. • My Books Reco Rating. We are surfacing even more support to help you prioritize your books. 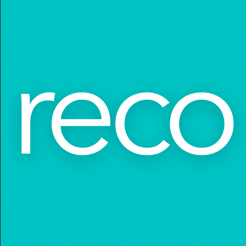 Reco Ratings can be seen right on your lists. Head over to My Books to see which book you need to start reading now. What are you waiting for? 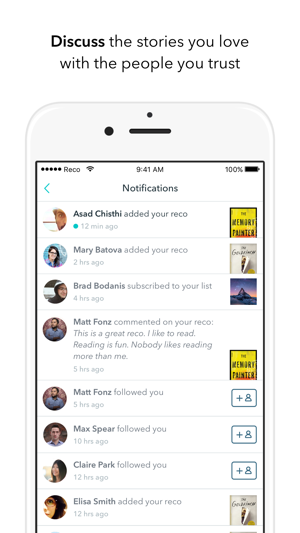 Update the app, start your next book club, and keep discussing and sharing your favourite books! The one of the nicest books app I found. Very nice and easy to use interface and with plenty of excellent features. It can be made even better. But overall it is just great. Well done developer. Very nice work. keep it up. I recommend to all book lovers to download and tryout for yourself. Do you like read? Share your prefer book with friends and parents, attach image and comments.